There was another reason to include Errol though. A couple people had asked me about a letter to GlaDOS, the iconic crazed computer from the Portal games. But when it came down to writing it…what more was there to say about her? Seriously…ALL of the jokes have been made. The Cake jokes. The Still Alive jokes. The Companion Cube jokes (DARN IT, I HAD MEANT TO ASK DAN TO BRING HIS COMPANION CUBE…ah well). Really, there was nothing all that new I could add to the pile. GlaDOS is wonderful (not as wonderful as Wheatley), but we have exhausted all of the commentary possible with her. Then it occurred to me that I hadn’t actually beat the first Portal. I got pretty close to the end but then rage quit once moving platforms and acid became involved. I never went back, not even to see what all this “The Cake is a Lie” nonsense was all about. I knew the computer would become evil, I knew she was destroyed, I knew that the companion cube was important somehow. But I never got the full details of the ending. It was only last year that I saw what the end sequence looked like, after my friends discovered my horrible secret (and it is pretty terrible once you realize what a huge Portal fan I am). And so I made my Letter about that. Well, loosely. Mostly it was an excuse for Errol to smush cake in his face and be crazy. Which he did. With gusto. Thanks, Test Chamber. You were pretty much the birth place of Whitless Letters and this blog. And I won’t forget you for that. Posted on May 7, 2014, in Vids, wetangent, Whitless Letters and tagged ERROL, glados, my neighbour errol, test chamber, whitless letters. Bookmark the permalink. 3 Comments. This just made my day. 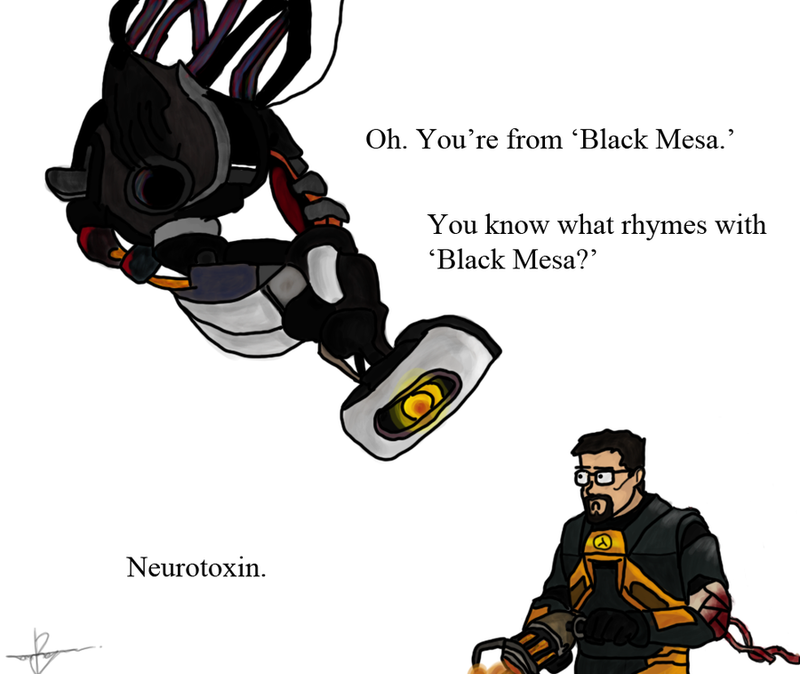 I haven’t beaten Portal yet. I, too, have a thing for Wheatly. Even if I’m never fully sure how to spell his name. >.> And in this vid, Errol frightens me a little. Hahahahaha, he frightens us all. Glad you enjoyed!